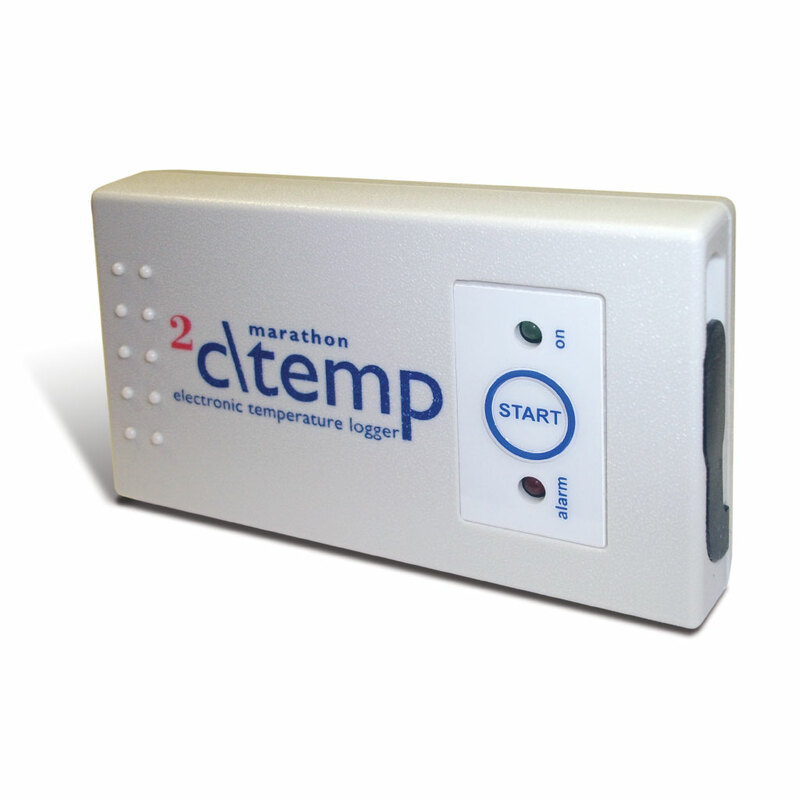 2ctemp-USB - Marathon Products, Inc.
A low-cost water-resistant temperature data logger for managing the cold chain. 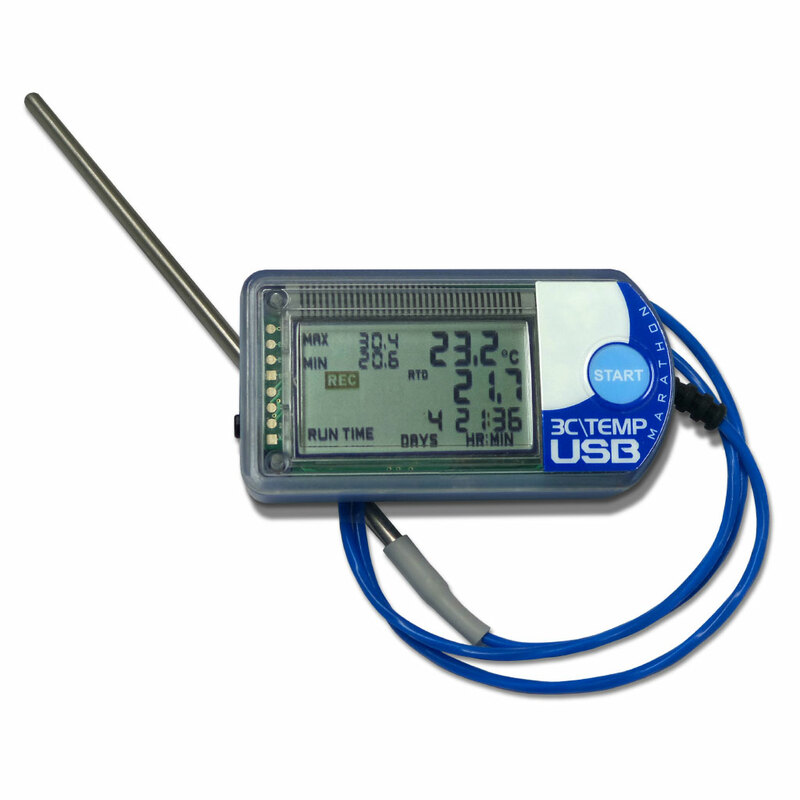 Waterproof Temperature Data Logger with USB Connectivity! The 2c\temp-USB multi-use data logger is a cost-effective solution for temperature monitoring of refrigerated vaccines, biological material, chemicals, pharmaceuticals and documenting the transportation of fruits and vegetables. Its convenient palm-sized design allows it to fit into tight quarters. 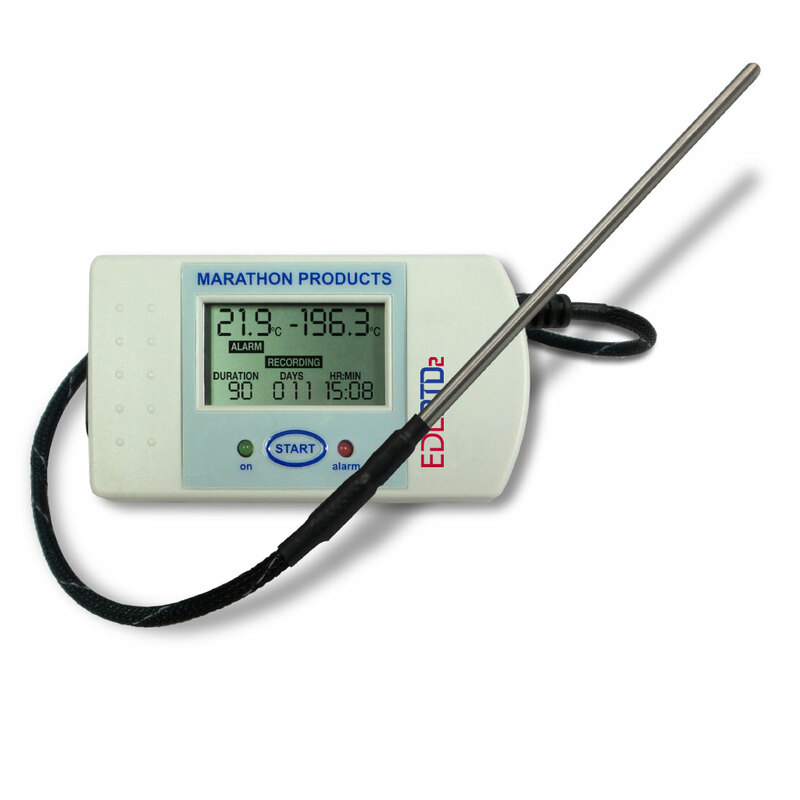 It is a mid-range data logger with a generous 16k memory and a 3 year battery shelf life. With USB connectivity, this is an excellent general purpose data logger. Functions include: The internal thermistor accurately records temperatures for user-programmable readings in Celsius or Fahrenheit. The internal software is user programmable and provides the following features: start time delay, sampling intervals, high and low alarm values, recording status, and measurement data. Visual alarms: It features the ability to program alarm limits. Should the temperature reach levels outside these limits, the on-board red LED will light until reset by the user. Operation is as easy as pressing the Start button on the recorder. Computer ready: MaxiThermal software is used to read the logger. It runs on Windows 2000, XP, Vista, and 7, 8 & 10. 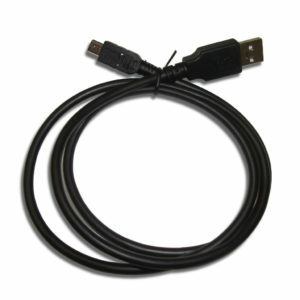 To download recorded information, simply plug the unit into the standard USB port of your PC. 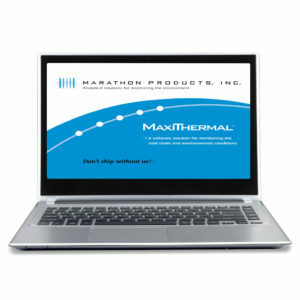 The MaxiThermal software and USB cable are required accessory items and are sold separately. Logger Category, Description Category 1. Multi-Use. 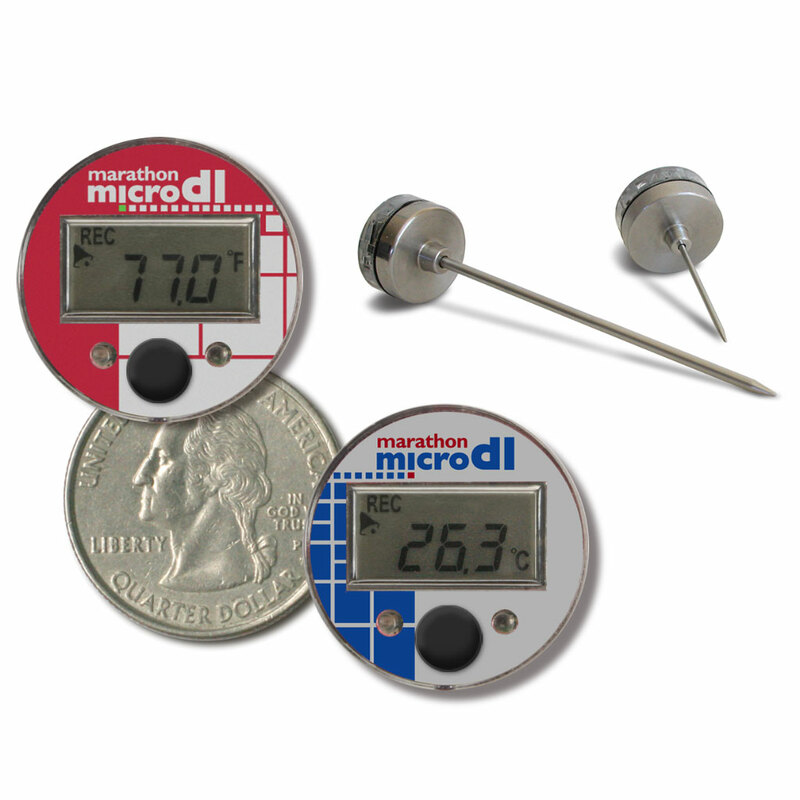 Water resistant compact temperature data logger with Mini-USB port. Alarm Modes Exceed Limit. See Alarms page for more information. 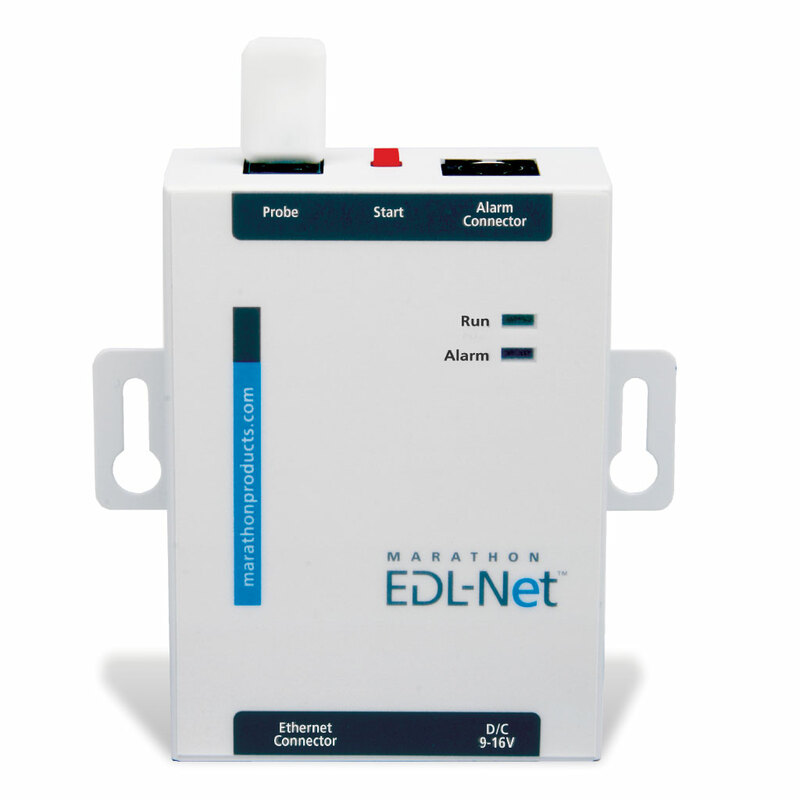 Alarm Reset Options Alarm is reset when logger is erased and reprogrammed. Alarm Notifications Red LED flashes when alarm is triggered. See Alarms page for more information. Included paperwork QC sheet, NIST certificate, Packing List included with all purchases. See the Calibration page for more information. Power Source, Battery Life and Replacement One 3.0 Volt Lithium battery with 1 year operating life and 3 year shelf life. Battery is rated at 6 months if used continuously at -29°C. See Battery Performance page for more information.